(4) Kiwi by Philippa Morton. It’s great to live in the big smoke. But then again, every now and then it’s pretty normal for me to experience a hankering for good old Kiwi cuisine, being that I am from New Zealand. 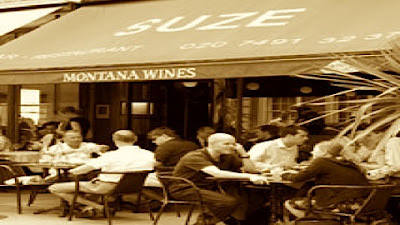 Most of the time Kiwi food is tricky to find in London, unless you know about the restaurant Suze in Mayfair. A New Zealander herself, Susan has been away from her homeland for many years, and understands those little cravings. Granted, this restaurant is not wholly Kiwi, with dashes of dishes from our bros in Australia, but considering its menu has so much variety, I’m going to take it easy on them, mate. From London’s big smoke to smoked NZ eel as a starter: it’s great for the taste buds. I thought I might have had some luck with NZ Whitebait as a starter, but I guess that really was wishful thinking! However, nothing says Kiwiana like NZ Green Shell Mussels smoked in Manuka honey! It was definitely a Doci Doe for me between the mussels or the lamb. 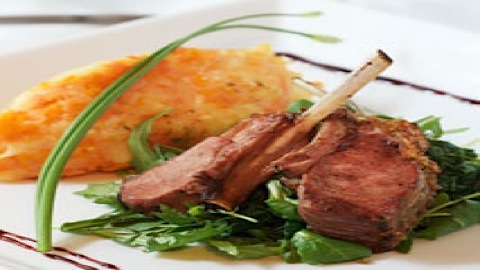 In the end, I had to go for the NZ lamb and sweet potatoes (aka Kumara in NZ). Mains range from £13.95 – £17.95 at Suze in Mayfair, hardly a hole in the pocket for kakato (delicious) Kiwi cuisine. With a diet like this, no wonder our All Blacks are so big. Us Kiwis swell with pride for our rugby team, but we should be proud of Suze in Mayfair as well as she imports heaps (!) of NZ wines for us. Her latest is Michelle Richardson wines, formally from Villa Maria. Who does Michelle think she is to have her OWN wine? Only New Zealand Winemaker of the Year, six times over! That’s who. And on the advice of Suze in Mayfair’s manager Joe (one of only 5 Kiwis to be a member of the Champagne Academy), there was no way we could go wrong with our Pinot Noir. A gorgeous New Zealand Cabbage Tree sits outside Suze in Mayfair, creating a slightly tropical feel. Inside, the restaurant has an undeniably homely feel about it: plain tables set in white cloth; unfortunately, the white did not remain for long, as in my excitement my heart skipped a beat or two when I discovered to my delight that Suze in Mayfair serves New Zeland pavlova and, HOKEY POKEY ICE CREAM, a dollop of which I dropped on the pristinely white table cloth. Pavlova and Hokey Pokey Icecream! Ka Pai Suze in Mayfair! I was so happy, that I could have Haka’d my way out of there. But honestly, I think I’ll leave it for the boys all in black.